Why do beaked whales return to a Navy sonar range despite disturbance? 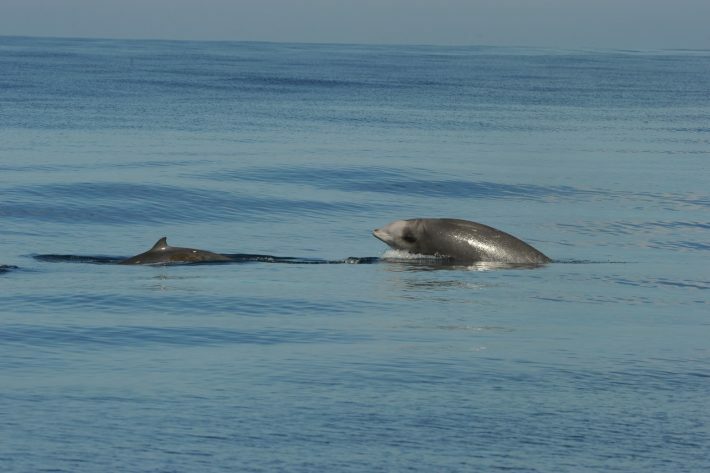 A new study published in the Journal of Applied Ecology, shows that beaked whales need these prey hotspots to survive, and that similar patches do not exist in nearby “sonar-free” areas. “Beaked whales work very hard to obtain their food. They are essentially living paycheck to paycheck,” said Benoit-Bird. Unlike many baleen whales with significant energy reserves, beaked whales can’t afford to expend too much energy on a dive that doesn’t result in capturing many squid. In areas where the concentration of prey is low, the beaked whales must work harder and expend more calories—making reproduction and raising young that much more challenging. Some of the areas under study were so poor in terms of prey that whales likely could not meet their basic energetic requirements if they only fed there. In fact, squid were 10 times more abundant higher in the area preferred by the whales. In this preferred area, the whales could get enough food by making just one dive a day. In a nearby sonar-free area (established with the idea that beaked whales could shelter in these areas while the sonar tests were underway) the whales would need to make between 22 and 100 dives per day to get enough food—something that would be difficult or impossible to do.